You must begin in the heart of the city at the Nis Fortress. This 18th century construction is situated along the shore of the Nišava River, atop the ruins of the ancient Roman military camp, Naissus. 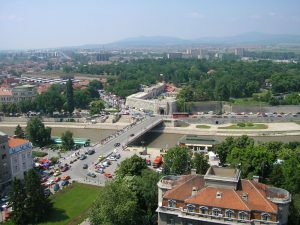 The fortress was built during Turkish rule (1386 – 1878) as was regarded as one of the most beautiful buildings in the Balkans. The Nis Fortress was used as an armory, hammam (bath), and prison. Much of the original building is still standing. 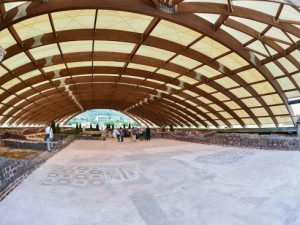 It is a free attraction where people are welcome to stroll the paths and check out the remaining constructions within. 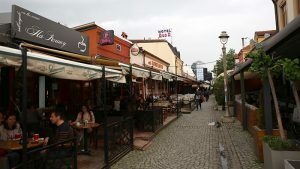 Inside there are restaurants, ice cream vendors, and stages where the main programs of Nišville Jazz Festival are held each year in August. 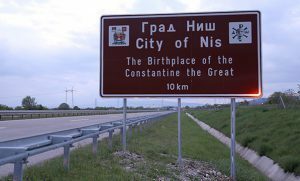 Most notably, Nis was the birthplace of the Roman Emperor Constantine the Great – the man creditedwith converting the Roman Empire to Christianity. The Archaeological Hall of Nis National Museum (Nikole Pašića 59) holds a wide range of historical finds including millennia-old clay figurines, Roman era statues and currency, Medieval religious items, and a replica sculpture of Constantine the Great.